LLNL is self-described as "a premier research and development institution for science and technology applied to national security." Its principal responsibility is ensuring the safety, security and reliability of the nation's nuclear weapons through the application of advanced science, engineering and technology. The Laboratory also applies its special expertise and multidisciplinary capabilities to preventing the proliferation and use of weapons of mass destruction, bolstering homeland security and solving other nationally important problems, including energy and environmental security, basic science and economic competitiveness. Lawrence tapped his former graduate student Herbert York, age 32, to run Livermore. Under York, the Lab had four main programs: Project Sherwood (the magnetic-fusion program), Project Whitney (the weapons-design program), diagnostic weapon experiments (both for the Los Alamos and Livermore laboratories), and a basic physics program. York and the new lab embraced the Lawrence "big science" approach, tackling challenging projects with physicists, chemists, engineers, and computational scientists working together in multidisciplinary teams. Lawrence died in August 1958 and shortly after, the university's board of regents named both laboratories for him, as the Lawrence Radiation Laboratory. Historically, the Berkeley and Livermore laboratories have had very close relationships on research projects, business operations, and staff. The Livermore Lab was established initially as a branch of the Berkeley laboratory. The Livermore lab was not officially severed administratively from the Berkeley lab until 1971. To this day, in official planning documents and records, Lawrence Berkeley National Laboratory is designated as Site 100, Lawrence Livermore National Lab as Site 200, and LLNL's remote test location as Site 300. The laboratory was renamed Lawrence Livermore Laboratory (LLL) in 1971. On October 1, 2007 LLNS assumed management of LLNL from the University of California, which had exclusively managed and operated the Laboratory since its inception 55 years before. The laboratory was honored in 2012 by having the synthetic chemical element livermorium named after it. The LLNS takeover of the laboratory has been controversial. In May 2013, an Alameda County jury awarded over $2.7 million to five former laboratory employees who were among 430 employees LLNS laid off during 2008. The jury found that LLNS breached a contractual obligation to terminate the employees only for "reasonable cause." The five plaintiffs also have pending age discrimination claims against LLNS, which will be heard by a different jury in a separate trial. There are 125 co-plaintiffs awaiting trial on similar claims against LLNS. The May 2008 layoff was the first layoff at the laboratory in nearly 40 years. 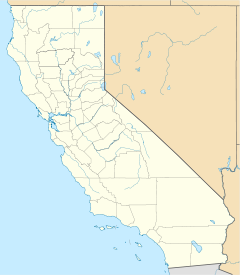 On March 14, 2011, the City of Livermore officially expanded the city's boundaries to annex LLNL and move it within the city limits. The unanimous vote by the Livermore city council expanded Livermore's southeastern boundaries to cover 15 land parcels covering 1,057 acres (4.28 km2) that comprise the LLNL site. The site was formerly an unincorporated area of Alameda County. The LLNL campus continues to be owned by the federal government. From its inception, Livermore focused on new weapon design concepts; as a result, its first three nuclear tests were unsuccessful. The lab persevered and its subsequent designs proved increasingly successful. In 1957, the Livermore Lab was selected to develop the warhead for the Navy's Polaris missile. This warhead required numerous innovations to fit a nuclear warhead into the relatively small confines of the missile nosecone. During the Cold War, many Livermore-designed warheads entered service. These were used in missiles ranging in size from the Lance surface-to-surface tactical missile to the megaton-class Spartan antiballistic missile. Over the years, LLNL designed the following warheads: W27 (Regulus cruise missile; 1955; joint with Los Alamos), W38 (Atlas/Titan ICBM; 1959), B41 (B52 bomb; 1957), W45 (Little John/Terrier missiles; 1956), W47 (Polaris SLBM; 1957), W48 (155-mm howitzer; 1957), W55 (submarine rocket; 1959), W56 (Minuteman ICBM; 1960), W58 (Polaris SLBM; 1960), W62 (Minuteman ICBM; 1964), W68 (Poseidon SLBM; 1966), W70 (Lance missile; 1969), W71 (Spartan missile; 1968), W79 (8-in. artillery gun; 1975), W82 (155-mm howitzer; 1978), B83 (modern strategic bomb; 1979), and W87 (Peacekeeper/MX ICBM; 1982). The W87 and the B83 are the only LLNL designs still in the U.S. nuclear stockpile. With the collapse of the Soviet Union in 1991 and the end of the Cold War, the United States began a moratorium on nuclear testing and development of new nuclear weapon designs. To sustain existing warheads for the indefinite future, a science-based Stockpile Stewardship Program (SSP) was defined that emphasized the development and application of greatly improved technical capabilities to assess the safety, security, and reliability of existing nuclear warheads without the use of nuclear testing. Confidence in the performance of weapons, without nuclear testing, is maintained through an ongoing process of stockpile surveillance, assessment and certification, and refurbishment or weapon replacement. With no new designs of nuclear weapons, the warheads in the U.S. stockpile must continue to function far past their original expected lifetimes. As components and materials age, problems can arise. Stockpile Life Extension Programs can extend system lifetimes, but they also can introduce performance uncertainties and require maintenance of outdated technologies and materials. Because there is concern that it will become increasingly difficult to maintain high confidence in the current warheads for the long term, the Department of Energy/National Nuclear Security Administration initiated the Reliable Replacement Warhead (RRW) Program. RRW designs could reduce uncertainties, ease maintenance demands, and enhance safety and security. In March 2007, the LLNL design was chosen for the Reliable Replacement Warhead. Since that time, Congress has not allocated funding for any further development of the RRW. The Lab's plutonium research is conducted in a specially designed facility called the SuperBlock, with emphasis on safety and security. Work with highly enriched uranium is also conducted here. In March 2008, the National Nuclear Security Administration (NNSA) presented its preferred alternative for the transformation of the nation's nuclear weapons complex. Under this plan, LLNL would be a center of excellence for nuclear design and engineering, a center of excellence for high explosive research and development, and a science magnet in high-energy-density (i.e., laser) physics. In addition, most of its special nuclear material would be removed and consolidated at a more central, yet-to-be-named site. On September 30, 2009, the NNSA announced that about two thirds of the special nuclear material (e.g., plutonium) at LLNL requiring the highest level of security protection had been removed from LLNL. The move was part of NNSA's efforts initiated in October 2006 to consolidate special nuclear material at five sites by 2012, with significantly reduced square footage at those sites by 2017. The federally mandated project intends to improve security and reduce security costs, and is part of NNSA's overall effort to transform the Cold War era "nuclear weapons" enterprise into a 21st-century "nuclear security" enterprise. The original date to remove all high-security nuclear material from LLNL, based on equipment capability and capacity, was 2014. NNSA and LLNL developed a timeline to remove this material as early as possible, accelerating the target completion date to 2012. The Lab's work in global security aims to reduce and mitigate the dangers posed by the spread or use of weapons of mass destruction and by threats to energy and environmental security. Livermore has been working on global security and homeland security for decades, predating both the collapse of the Soviet Union in 1991 and the September 11, 2001, terrorist attacks. LLNL staff have been heavily involved in the cooperative nonproliferation programs with Russia to secure at-risk weapons materials and assist former weapons workers in developing peaceful applications and self-sustaining job opportunities for their expertise and technologies. In the mid-1990s, Lab scientists began efforts to devise improved biodetection capabilities, leading to miniaturized and autonomous instruments that can detect biothreat agents in a few minutes instead of the days to weeks previously required for DNA analysis. The LLNL chemistry, materials, and life science research focuses on chemical engineering, nuclear chemistry, materials science, and biology and bio-nanotechnology. Physics thrust areas include condensed matter and high-pressure physics, optical science and high energy density physics, medical physics and biophysics, and nuclear, particle and accelerator physics. In the area of energy and environmental science, Livermore's emphasis is on carbon and climate, energy, water and the environment, and the national nuclear waste repository. The LLNL engineering activities include micro- and nanotechnology, lasers and optics, biotechnology, precision engineering, nondestructive characterization, modeling and simulation, systems and decision science, and sensors, imaging and communications. The LLNL is very strong in computer science, with thrust areas in computing applications and research, integrated computing and communications systems, and cyber security. Lawrence Livermore National Laboratory has worked out several energy technologies in the field of coal gasification, shale oil extraction, geothermal energy, advanced battery research, solar energy, and fusion energy. Main oil shale processing technologies worked out by the Lawrence Livermore National Laboratory are LLNL HRS (hot-recycled-solid), LLNL RISE (in situ extraction technology) and LLNL radiofrequency technologies. Critical contributions to the U.S. nuclear deterrence effort through the design of nuclear weapons to meet military requirements and, since the mid-1990s, through the Stockpile Stewardship Program, by which the safety and reliability of the enduring stockpile is ensured without underground nuclear testing. Development of extreme ultraviolet lithography (EUVL) for fabricating next-generation computer chips. Advances in genomics, biotechnology, and biodetection, including major contributions to the complete sequencing of the human genome though the Joint Genome Institute and the development of rapid PCR (polymerase chain reaction) technology that lies at the heart of today's most advanced DNA detection instruments. Co-discoverers of new superheavy elements 113, 114, 115, 116, 117, and 118. On July 17, 2009 LLNL announced that the Laboratory had received eight R&D 100 Awards – more than it had ever received in the annual competition. The previous LLNL record of seven awards was reached five times – in 1987, 1988, 1997, 1998 and 2006. Also known as the "Oscars of invention", the awards are given each year for the development of cutting-edge scientific and engineering technologies with commercial potential. The awards raise LLNL's total number of awards since 1978 to 129. On October 12, 2016, LLNL released the results of computerized modeling of Mars' moon Phobos, finding that it has a connection with keeping the Earth safe from asteroids. Center for Accelerator Mass Spectrometry: LLNL's Center for Accelerator Mass Spectrometry (CAMS) develops and applies a wide range of isotopic and ion-beam analytical tools used in basic research and technology development, addressing a spectrum of scientific needs important to the Laboratory, the university community, and the nation. CAMS is the world's most versatile and productive accelerator mass spectrometry facility, performing more than 25,000 AMS measurement operations per year. High Explosives Applications Facility and Energetic Materials Center: At HEAF, teams of scientists, engineers, and technicians address nearly all aspects of high explosives: research, development and testing, material characterization, and performance and safety tests. HEAF activities support the Laboratory's Energetic Materials Center, a national resource for research and development of explosives, pyrotechnics, and propellants. National Ignition Facility: This 192-beam, stadium-size laser system will be used to compress fusion targets to conditions required for thermonuclear burn. Experiments at NIF will study physical processes at conditions that exist only in the interior of stars and in exploding nuclear weapons (see National Ignition Facility and photon science). Livermore Computing Complex: LLNL's Livermore Computing Complex houses some of the world's most powerful computers, including the 20 petaflop Sequoia, the 5-petaflop Vulcan system; Jade and Quartz systems at 3 petaflops each; the 970-teraflop Zin system; 431-teraflop Cab system; and additional large multi-core, multi-socket Linux clusters with various processor types. The newest machine, Sierra, occupied the No. 3 position on the TOP500 list in June 2018. The complex has nearly 10,000 square feet of machine floor space, supporting both classified and unclassified national security programs. Titan Laser: Titan is a combined nanosecond-long pulse and ultrashort-pulse (subpicosecond) laser, with hundreds of joules of energy in each beam. This petawatt-class laser is used for a range of high-energy density physics experiments, including the science of fast ignition for inertial confinement fusion energy. Throughout its history, LLNL has been a leader in computers and scientific computing. Even before the Livermore Lab opened its doors, E.O. Lawrence and Edward Teller recognized the importance of computing and the potential of computational simulation. Their purchase of one of the first UNIVAC computers set the precedent for LLNL's history of acquiring and exploiting the fastest and most capable supercomputers in the world. A succession of increasingly powerful and fast computers have been used at the Lab over the years. LLNL researchers use supercomputers to answer questions about subjects such as materials science simulations, global warming, and reactions to natural disasters. LLNL has a long history of developing computing software and systems. Initially, there was no commercially available software, and computer manufacturers considered it the customer's responsibility to develop their own. Users of the early computers had to write not only the codes to solve their technical problems, but also the routines to run the machines themselves. Today, LLNL computer scientists focus on creating the highly complex physics models, visualization codes, and other unique applications tailored to specific research requirements. A great deal of software also has been written by LLNL personnel to optimize the operation and management of the computer systems, including operating system extensions such as CHAOS (Linux Clustering) and resource management packages such as SLURM. LLNL also initiated and continues leading the development of ZFS on Linux, the official port of ZFS to the Linux operating system. 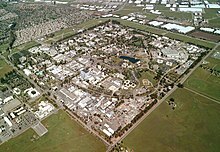 In August 2009 a joint venture was announced between Sandia National Laboratories/California campus and LLNL to create an open, unclassified research and development space called the Livermore Valley Open Campus (LVOC). The motivation for the LVOC stems from current and future national security challenges that require increased coupling to the private sector to understand threats and deploy solutions in areas such as high performance computing, energy and environmental security, cyber security, economic security, and non-proliferation. The LVOC is modeled after research and development campuses found at major industrial research parks and other U.S. Department of Energy laboratories with campus-like security, a set of business and operating rules devised to enhance and accelerate international scientific collaboration and partnerships with U.S. government agencies, industry and academia. Ultimately, the LVOC will consist of an approximately 110-acre parcel along the eastern edge of the Livermore Laboratory and Sandia sites, and will house additional conference space, collaboration facilities and a visitor's center to support educational and research activities. Enhance the two laboratories' national security missions by substantially increasing engagement with the private sector and academic community. Stay at the forefront of the science, technology and engineering fields. Ensure a quality future workforce by expanding opportunities for open engagement of the broader scientific community. LLNL's principal sponsor is the Department of Energy/National Nuclear Security Administration (DOE/NNSA) Office of Defense Programs, which supports its stockpile stewardship and advanced scientific computing programs. Funding to support LLNL's global security and homeland security work comes from the DOE/NNSA Office of Defense Nuclear Nonproliferation as well as the Department of Homeland Security. LLNL also receives funding from DOE's Office of Science, Office of Civilian Radioactive Waste Management, and Office of Nuclear Energy. In addition, LLNL conducts work-for-others research and development for various Defense Department sponsors, other federal agencies, including NASA, Nuclear Regulatory Commission (NRC), National Institutes of Health, and Environmental Protection Agency, a number of California State agencies, and private industry. 1961–1965 John S. Foster, Jr. The LLNL Director is supported by a senior executive team consisting of the Deputy Director, the Deputy Director for Science and Technology, Principal Associate Directors, and other senior executives who manage areas/functions directly reporting to the Laboratory Director. The University of California is entitled to appoint three Governors to the Executive Committee, including the Chair. Bechtel is also entitled to appoint three Governors to the Executive Committee, including the Vice Chair. One of the Bechtel Governors must be a representative of Babcock & Wilcox (B&W) or the Washington Division of URS Corporation (URS), who is nominated jointly by B&W and URS each year, and who must be approved and appointed by Bechtel. The Executive Committee has a seventh Governor who is appointed by Battelle; they are non-voting and advisory to the Executive Committee. The remaining Board positions are known as Independent Governors (also referred to as Outside Governors), and are selected from among individuals, preferably of national stature, and can not be employees or officers of the partner companies. The current LLNS Chairman is Norman J. Pattiz, founder and chairman of Westwood One, America's largest radio network, who also currently serves on the Board of Regents of the University of California. The Vice Chairman is J. Scott Ogilvie, president of Bechtel Systems & Infrastructure, Inc., who also serves on the Board of Directors of Bechtel Group, Inc. (BGI) and on the BGI Audit Committee. ^ "Missions & Programs". Lawrence Livermore National Laboratory. February 13, 2008. Retrieved March 19, 2008. ^ "Science and Technology Review (September 1998)". "A Short History of the Laboratory at Livermore". ^ "Global Security" (April 27, 2005). "Weapons of Mass Destruction: Miniaturization". Retrieved June 3, 2008. ^ James N. Gibson (October 14, 2006). "Complete List of All U.S. Nuclear Weapons". The Nuclear Weapon Archive. Retrieved March 19, 2008. ^ "U.S. Nuclear Weapon Enduring Stockpile". The Nuclear Weapon Archive. August 31, 2007. Retrieved March 19, 2008. ^ "Nuclear Weapons Stockpile Stewardship". Lawrence Livermore National Laboratory. February 13, 2008. Retrieved March 19, 2008. ^ Scott Lindlaw (March 2, 2007). "Bush Administration Picks Lawrence Livermore Warhead Design". The San Francisco Chronicle. Archived from the original on March 12, 2007. Retrieved March 19, 2008. ^ "Plutonium Up Close...Way Close". Lawrence Livermore National Laboratory. Retrieved May 20, 2008. ^ "Lawrence Livermore National Laboratory Fact Sheet for NNSA Complex Transformation – Preferred Alternative" (PDF). Lawrence Livermore National Laboratory. Archived from the original (PDF) on August 20, 2008. Retrieved May 20, 2008. ^ "Science and Technology Review, Lawrence Livermore National Laboratory" (November 2007). "Scientists without Borders". ^ Science and Technology Review, Lawrence Livermore National Laboratory (December 2007). "Out of Harm's Way". ^ Science and Technology Review, Lawrence Livermore National Laboratory (November 2007). "Characterizing Virulent Pathogens". ^ Science and Technology Review, Lawrence Livermore National Laboratory (September 2007). "Assessing the Threat of Bioterrorism". ^ Science and Technology Review, Lawrence Livermore National Laboratory (August 2008). "Antineutrino Detectors Improve Reactor Safeguards". ^ Science and Technology Review, Lawrence Livermore National Laboratory (January 2007). "Identifying the Source of Stolen Nuclear Materials". ^ Science and Technology Review, Lawrence Livermore National Laboratory (October 2007). "Mobile Mapping for Radioactive Materials". ^ Science and Technology Review, Lawrence Livermore National Laboratory (March 2007). "On the Leading Edge of Atmospheric Predictions". ^ Science and Technology Review, Lawrence Livermore National Laboratory (May 2006). "Protecting our Nation's Livestock". ^ Science and Technology Review, Lawrence Livermore National Laboratory. "Simulating Warfare Is No Video Game". ^ Science and Technology Review, Lawrence Livermore National Laboratory. "Leveraging Science and Technology in the National Interest". ^ Science and Technology Review, Lawrence Livermore National Laboratory (July 2002). "Knowing the Enemy, Anticipating the Threat". ^ Science and Technology Review, Lawrence Livermore National Laboratory (June 2007). "Setting a World Driving Record with Hydrogen". ^ Science and Technology Review, Lawrence Livermore National Laboratory (March 2007). "Climate and Agriculture: Change Begets Change". ^ Burnham, Alan K.; McConaghy, James R. (October 16, 2006). Comparison of the acceptability of various oil shale processes (PDF). 26th Oil shale symposium. Golden, Colorado: Lawrence Livermore National Laboratory. pp. 2, 17. UCRL-CONF-226717. Retrieved May 27, 2007. ^ "Lawrence Livermore National Laboratory". Lawrence Livermore National Laboratory. Retrieved May 20, 2008. ^ Verger, Rob (October 12, 2016). "Scientists study 'Death Star' to save Earth". Retrieved December 21, 2016. ^ "Top 500: The list". ^ "Linux at Livermore". Lawrence Livermore National Laboratory. Retrieved February 28, 2007. ^ Toponce, Aaron. "Aaron Toponce : Install ZFS on Debian GNU/Linux". pthree.org. Retrieved December 20, 2018. ^ "ZFS on Linux". zfsonlinux.org. Lawrence Livermore National Laboratory. Retrieved December 20, 2018. ^ "LLNL: A Tradition of Excellence Continues". Retrieved December 21, 2016. ^ "George Miller to retire as Laboratory director". April 12, 2011. Retrieved December 21, 2016. ^ "LANL's Knapp to take over as Livermore acting director - LAMonitor.com". Retrieved December 21, 2016. ^ "William H. Goldstein named director of LLNL". March 27, 2014. Retrieved December 21, 2016. ^ "Lawrence Livermore National Security, LLC". Retrieved December 21, 2016. ^ "1,300 ARRESTED IN CALIFORNIA ANTINUCLEAR PROTEST". The New York Times. June 22, 1982. Retrieved December 21, 2016. ^ Diana Walsh (August 11, 2003). "Nuclear Protest Blooms Again at Lab: 1,000 in Livermore Demonstrate Against New Buster Bomb". San Francisco Chronicle. Retrieved June 23, 2015. Wikimedia Commons has media related to Lawrence Livermore National Laboratory. "History of the Laboratory". LLNL. July 14, 2002. Archived from the original on October 12, 2006. Serving the Nation for Fifty Years: 1952–2002 Lawrence Livermore National Laboratory [LLNL], Fifty Years of Accomplishments (PDF) (Report). LLNL. 2002. UCRL-AR-148833. This page was last edited on 9 March 2019, at 20:55 (UTC).